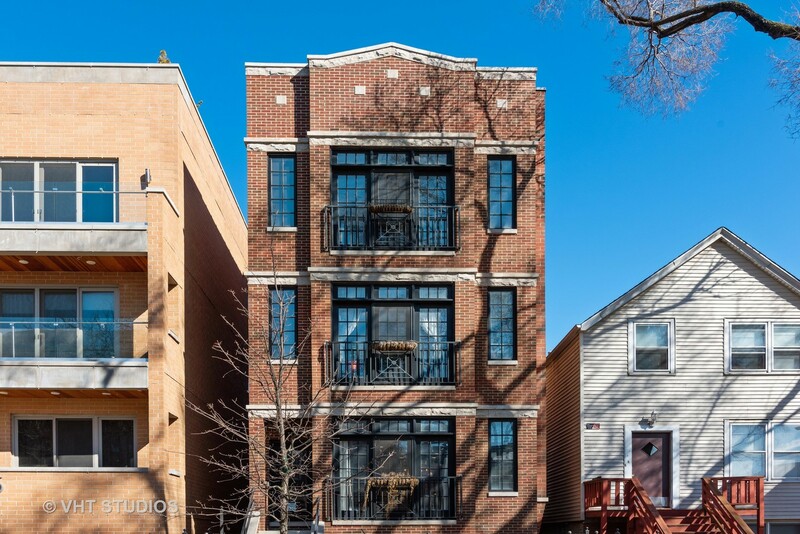 Stunning duplex down on a quiet street in the heart of Wrigleyville and all the area offers! This spacious home features beautiful high end finishes and includes a large open living /dining area with plenty of space for a true dining set & a formal living room with fireplace. High ceilings, hardwood flrs, extensive moldings plus wainscoting throughout the unit. Chef's kitchen with Viking stove, large island and quality cabinets with plenty of storage and counter space. Main flr master suite with walk-in closet, 2nd BR with full bath and spacious walk-in closet. Large family room with fireplace, wet bar, wine fridge and plenty of natural light. Full size W/D with built out laundry closet. Plantation shutters & window treatments throughout. Garage parking incl. Located steps from Gallagher Way offering activities for all ages: enjoy kid's events, fitness classes, farmers markets, restaurants or take a quick stroll to Southport Corridor. Great outdoor space for entertaining! Directions GRACE, JUST EAST OF CLARK TO CLIFTON. 1-WAY SOUTH. Property information last modified by seller on Wednesday, April 10, 2019, 12:05 AM CDT. Information Deemed Reliable But Not Guaranteed. Unauthorized duplication, use, or linkage is prohibited. The information on this web site is for personal, non-commercial use and may not be used for any purpose other than to identify prospective properties consumers may be interested in purchasing. Monthly Payment Calculator results are for illustrative purposes only, not a financing opportunity; calculations assume a 30-year fixed-rate mortgage and do not include closing and other costs. Property Tax on NEW properties is estimated at 1.5% of Listing Price for payment calculation purposes; actual value may be higher or lower.